El libro repasa la vida y el legado arquitectónico de 4 arquitectas excepcionales de principios del siglo 20 y sus propuestas para hacer habitable de la fría y abstracta arquitectura moderna propuesta por Le Corbusier y JJP Oud. 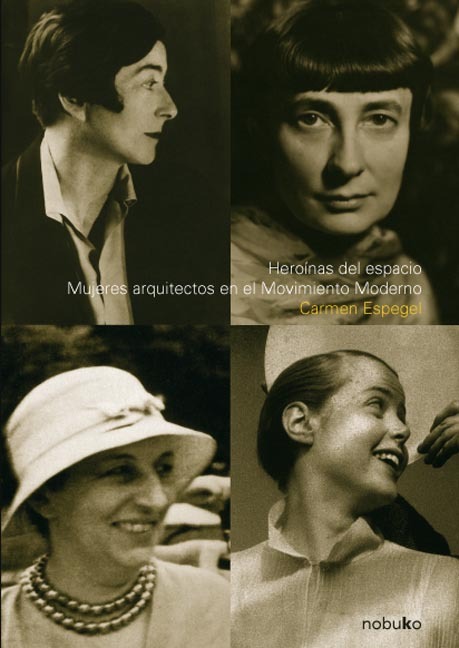 Las arquitectas europeas fueron: Eileen Gray (Gran Bretaña), Lilly Reich (Alemania), Margarete Schütte-Lihotzky (Alemania) y Charlotte Perriand (Francia). | The book reviews the life and architectural legacy of 4 exceptional women architects of the beginning of the 20th century and their proposals to make habitable the cold and abstract modern architecture undertaken by Le Corbusier and J.J.P. Oud. The European women architects were: Eileen Gray (b. Great Britain), Lilly Reich (b. Germany), Margarete Schütte-Lihotzky (b. Germany) and Charlotte Perriand (b. France).